Tools from isotope analysis to satellite imagery to geo-locators are adding a remarkable new level of detail to the work of generations of bird-banders and giving new weight to arguments that conserving birds requires broad protected areas. 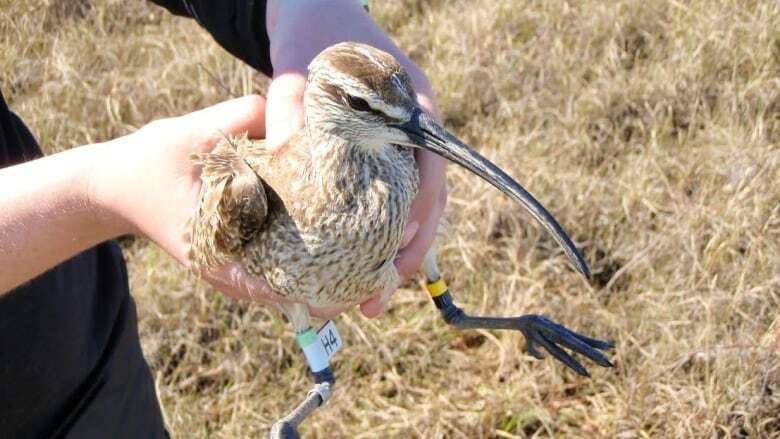 Scientists had been following it for days — a whimbrel from Canada's boreal forest outfitted with a high-tech satellite transceiver and on its migration from the northern woods to South America. 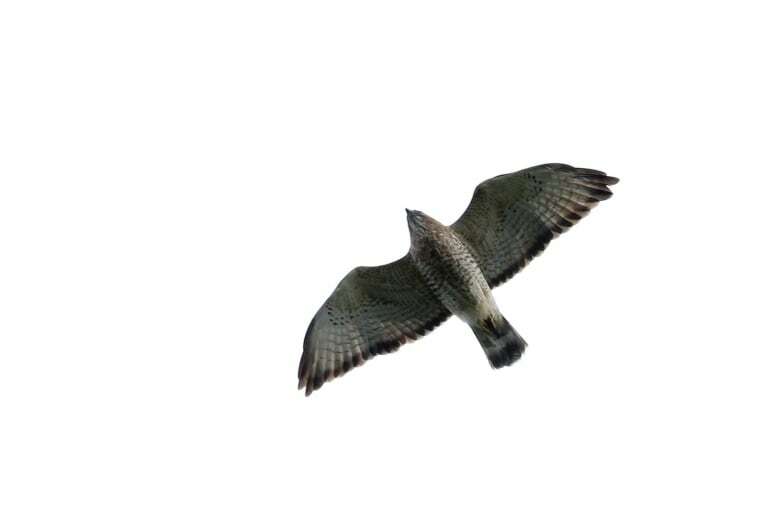 The bird, chicken-sized with a distinctive down-curved beak, had already stopped in at James Bay and headed south, a tiny blip on the screen as it flew non-stop for days over the ocean. And then, trouble. 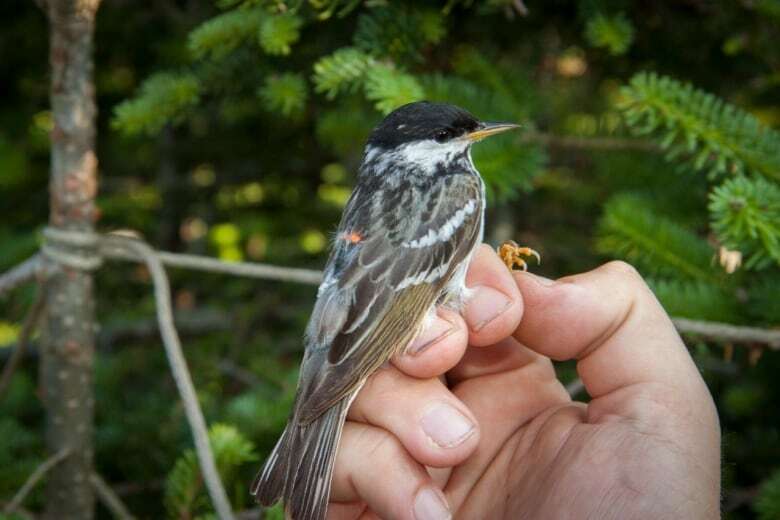 "It ran into a hurricane," said Jeff Wells, senior scientist with the Boreal Songbird Initiative and co-author of a new report on how technology is rewriting the book on birds. "Researchers were sending out maps every day and they actually showed the blip being slowed down as it ran into this hurricane. Everybody was waiting with bated breath to see what would happen the next day, whether the blip would disappear. "Sure enough, the bird made it around the hurricane and kept flying for another day and made it to the Brazilian coast. Incredible drama out on the trackless ocean." That's just one example of how tools from isotope analysis to satellite imagery to geo-locators are adding a remarkable new level of detail to the work of generations of bird-banders. And, said Wells, they're adding weight to arguments that conserving birds requires broad protected areas. "We really need to protect much more than we previously thought." Bird banding has been a useful tool since the days of naturalist painter John James Audubon. But bands can't tell you about speed, nesting areas, feeding grounds or a host of other crucial questions. 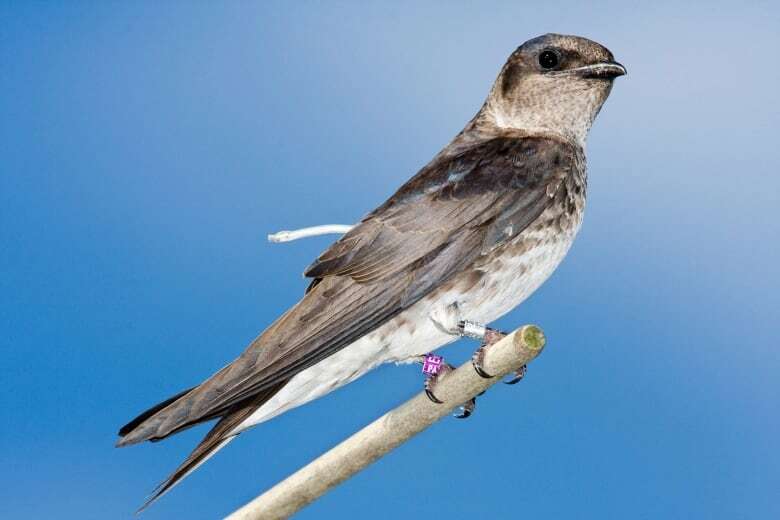 In one example, scientists captured a bird and took a feather known to grow on the breeding grounds and one known to fledge on the winter range. By analyzing isotopes within those feathers, researchers were able to pinpoint those locations. The new knowledge has already upended the old notion of flyways, the so-called north-south bird highways. Instead of highways, Wells said they're more like rivers, flowing in a general direction but taking the path of least resistance. "There are tendencies for birds to go in one generalized area, but for the most part what we see is a shifting current of birds, like these very broad fronts, almost like water spreading out in different directions depending on the obstacles in its way it'll change its path. We can see that they're using a much broader area than we thought before." Bird conservation must follow suit, says the report. Wells' group has long called for protection of at least 50 per cent of Canada's boreal forest, the vast belt of green between the prairie and the tundra that is the breeding ground for birds in the billions. The report also recommends First Nations be involved, both as managers of the protected areas and as partners in the research. If nothing else, Wells said the new technologies prove birds link the entire hemisphere. Satellite tags have tracked a white-throated sparrow from Manitoba to the southeastern U.S. Broad-winged hawks from north of Edmonton have been watched as they join the so-called "river of raptors" all the way to Bolivia. "Who would have thought the habitats of Alberta are contributing to this great spectacle that's enjoyed by people down through the U.S. and Mexico and they are parts of these diverse ecosystems in South America?" asked Wells. "It's astounding."